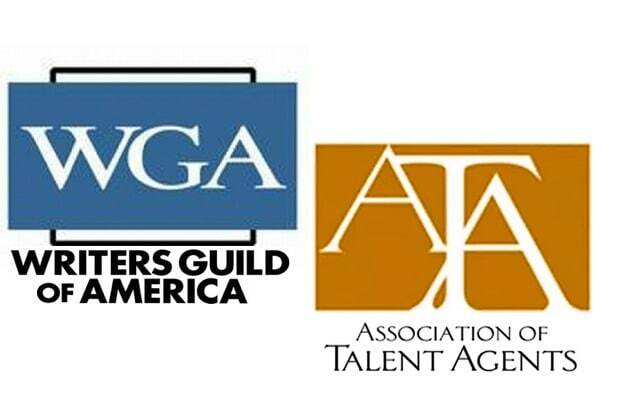 The Writers Guild of America and the Association of Talent Agencies ended a third round of negotiations on Tuesday, hours after the WGA released a 16-page report attacking the packaging fees Hollywood agencies operate on, saying that the fees create conflicts of interest. The talks came after a series of acrimonious exchanges between the leaders of the two organizations, with the ATA questioning whether the WGA was negotiating in good faith and the WGA in turn saying that the agencies had not provided a set of counterproposals. The ATA came to a Tuesday meeting with such a set, saying that the proposals came after meetings with hundreds of writers. “If we are to come up with a joint agreement, which I know our clients desperately want us to have, then we need to roll up our sleeves and get to work on a constructive process that will result in an agreement that works for everyone,” said ATA President Jim Gosnell in an opening statement. The ATA’s proposals include a promise for more transparency between writers and agents in the packaging process and clamping down on deals that involve packaging without the writers’ consent. The offer promises that agencies will not engage in independent film/TV packaging or sales services, or request packaging fees for such services, until the writer is informed of the process and gives it their approval. The proposals also promise that a similar approach of transparency will be given when handling projects associated with “affiliated entities,” or production companies either created or partially owned by agencies but which operate as separate businesses. As part of the new system, agents will be required to disclose their agencies’ relationships to those affiliates and inform writers that they have the option to ask their agents to make offers to competitors of those affiliates. The counterproposals also include provisions to improve working conditions for writers and an enforcement system with streamlined arbitration whenever writers wish to file a complaint. What the counterproposals don’t include is an agreement to completely eliminate the packaging fee system, something that the ATA has for weeks said none of its member agencies will agree to and which the WGA is threatening to eliminate by enforcing a new Code of Conduct that would require such packaging fees to be removed in order for an agency to represent WGA Membership. The guild will hold a vote on March 25 where members will decide whether to authorize leadership to enforce the new Code of Conduct. If authorized, the Code of Conduct would go into effect on April 7. In the report released on Tuesday morning, the WGA cited specific examples of TV shows, including “The Walking Dead,” as proof of how packaging fees have harmed writers and showrunners. It includes emails sent between the Creative Artists Agency (CAA) and AMC over packaging fees for “The Walking Dead” when its first season was in development in 2010. The WGA says that the packaging fees were being negotiated before a contract was finalized with the show’s former executive producer Frank Darabont, who was represented by the agency. The agency also negotiated packaging fees for potential spinoffs such as “Fear The Walking Dead,” which premiered in 2015. As of writing, the WGA and ATA have yet to release official statements on the results of the latest negotiations.